The LED high bay floodlight is included in the series of floodlights. In order to meet the working needs, the requirement for the light quality is higher. This light is usually installed in special environment, such as the coal mining industry, which is inflammable and explosive, so the lamp quality and safety must be guaranteed to avoid impact on the normal work. Below introduces the properties of the LED high bay floodlight. Due to the special installation environment, the LED floodlight selected must be explosion-proof, so as to avoid all the hidden safety dangers and protect the personal safety of staff while working. The service life of the floodlight shall be guaranteed. In case of any failure of the light during working, it will affect the workers. It’s better to choose the high-intensity discharge light with better lighting effect and infinitely extended service life. 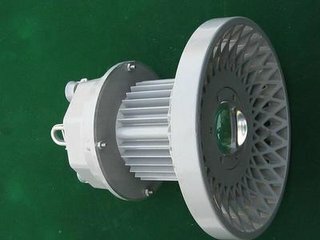 As the light is installed in special environment, it must have good water-proof and explosion-proof performance in order to prevent explosion or damage caused by the environment during the use. The aluminum alloy casing painted by high technology everyday can avoid dampness and explosion and increase the service life. Above are the properties of LED high bay floodlight. Hope all users can get floodlights with high quality and complete functions and without any potential safety hazard during the use.